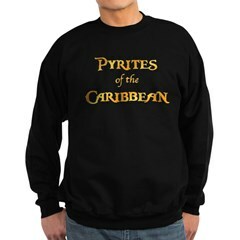 UnEarthedTees' Geology News | Crystals and Tectonics and Trilobites, Oh My! Ancient medieval port at Caesarea ©State of IsraelOy. “There is a likely chance of tsunami waves reaching the shores of Israel,” says Dr. Beverly Goodman of the Leon H. Charney School of Marine Sciences at the University of Haifa following an encompassing geo-archaeological study at the port of Caesarea. “Tsunami events in the Mediterranean do occur less frequently than in the Pacific Ocean, but our findings reveal a moderate rate of recurrence,” she says. Dr. Goodman, an expert geo-archaeologist, exposed geological evidence of this by chance. Her original intentions in Caesarea were to assist in research at the ancient port and at offshore shipwrecks. “We expected to find the remains of ships, but were surprised to reveal unusual geological layers the likes of which we had never seen in the region before. We began underwater drilling assuming that these are simply local layers related to the construction of the port. However, we discovered that they are spread along the entire area and realized that we had found something major,” she explains. If you found this story interesting you might enjoy these! Mount Pleasant, SC, United States, 10/13/2009- Mini Me Geology has launched a line of six affordable rock kits for children. 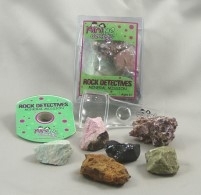 Mineral Mission is one of several 'Rock Detectives' kits available from MiniMe Geology. Several kits are available: Mineral Mission, Igneous Investigation, Sedimentary Sleuthing, Metamorphic Mystery, Crystal Geometry, and Crystal Experiment. Each kit contains six or seven large mineral or rock samples, a hand-held magnifier and a CD loaded with 30 pages of information about the samples, as well as printable puzzles, games, coloring pages, activities and experiments. Children will become true detectives as they use the information on the included CD to determine the identity of each rock or mineral by performing the activities from the CD. The CD will also teach the children how to make their own rock collection box and field notebook from household items. 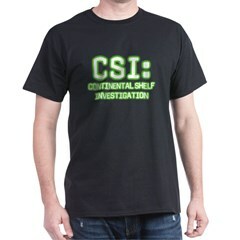 The Rock Detectives kits retail for $19.99 and are available at the company website. Mini Me Geology also offers a deluxe line of kits called “My Rockin’ Collections” rock and mineral kits, rock kit storage bags, “School Edition” rock and mineral kits for classrooms, individual rock and mineral samples, and identification accessories. The dust blanketing eastern parts of New South Wales has been carried by powerful winds that snatched up tons of topsoil from the drought-ravaged west of the state. Dust storms swept over Sydney Wednesday morning, turning the city sky so red, some residents thought they’d left the blue planet. Residents of eastern Australia have had to battle these bizarre conditions, because strong winds from the dry interior swept up dust and brought it gusting into the city. In other areas of southern Australia like Broken Hill — well inland in western New South Wales — the storms have been even more intense. Dust storms have occasionally blacked out the sky. Stunning photos have been posted to this Flickr gallery. A magnitude 7.0 earthquake caused dozens of buildings to collapse in the city of Tasikmalaya, in Java, Indonesia, and injuring a number of people, according to one report. The quake, which occured at at 2:55 p.m, also damaged buildings in the university city of Bandung near the epicentre, but there were no reports of any deaths. In the capital Jakarta hundreds of people streamed from offices into the streets, according to agency reports. The US Geological Survey lowered its magnitude reading from 7.4 to 7.0 and local tsunami warnings were withdrawn. Another spectacular example from the Earth as Art series. The Lena River, some 2,800 miles(4,500km) long, is one of the largest rivers in the world. The Lena Delta Reserve is the most extensive protected wilderness area in Russia. It is an important refuge and breeding grounds for many species of Siberian wildlife. To download the image in high resolution, register at the USGS here. Earthquakes struck both Japan and India on August 10, 2009. Although tsunami warnings were initially announced they were later recscinded. If you are really serious about enjoying your drinks on the rocks, you might want to try out these soapstone “ice” cubes. “Whiskey Stones” won’t dilute your drink because they do not melt. I haven”t tried them so I cannot tell you how well they work, but it’s certainly a novel idea. Remember to always drink responsibly — you don’t want to get stoned. Available at Think Geek in packs of 8 with a drawstring bag.